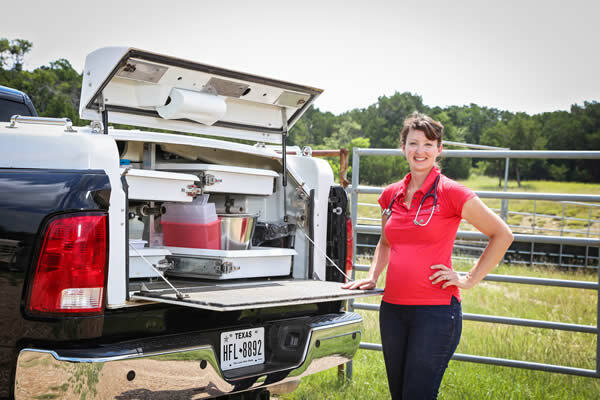 Diamond J Veterinary Services is a mobile equine practice owned and operated by Dr. Jenn Boeche. 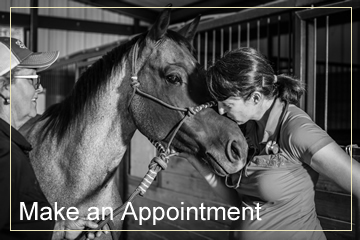 DJVS offers complete, compassionate care for your equine companion and athlete. Dr. Boeche also does herbal therapy, acupuncture and chiropractic care. DJVS serves the equine community north-central Texas. 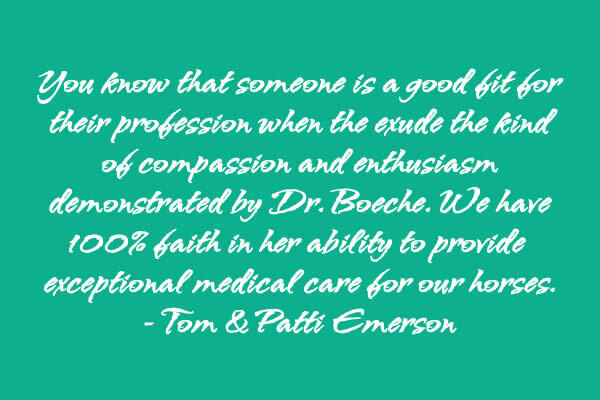 Dr. Boeche is originally from northern Nevada. She showed POAs as a youth from the local to the national level. 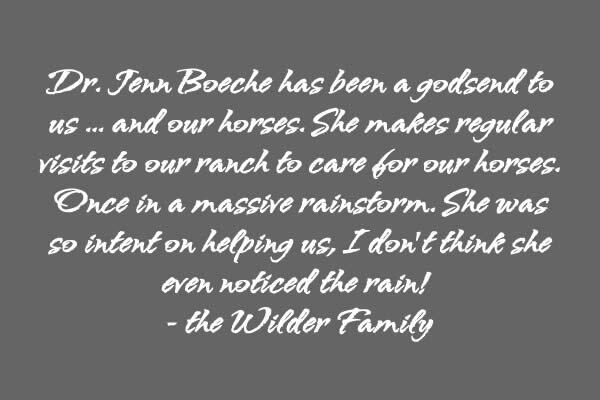 Dr. Boeche earned her bachelor’s degrees in Animal Science and Spanish from Colorado State University. She also received her doctorate in veterinary medicine from Colorado State University in 2011. Equine veterinarians are large animal practitioners that specialize in health management of horses. Equine veterinarians are licensed animal health professionals who are qualified to diagnose and treat horses involved in competition and production. 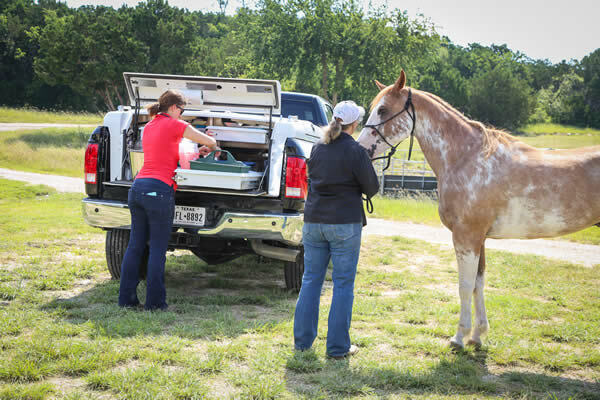 An equine vet can work many environments, but they generally work closely with both equine patients and their human owners. 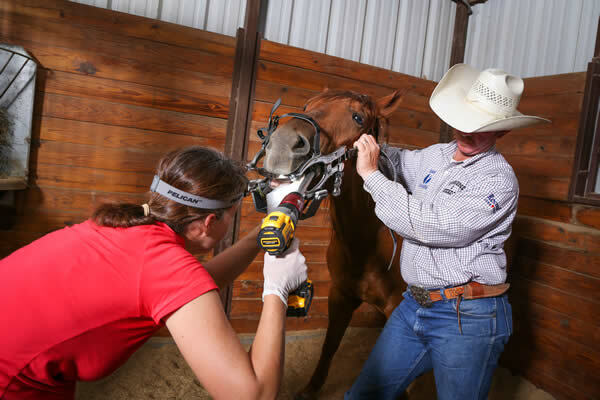 The typical routine for an equine vet includes performing basic exams, giving routine vaccinations, drawing blood, prescribing medications, evaluating and suturing wounds, performing surgeries, and giving post-surgical exams. Other duties may include performing pre-purchase exams, monitoring the reproductive health of breeding stallions and broodmares, assisting with foalings, and taking x-rays or ultrasounds. Equine veterinarians may work in conjunction with a farrier to correct angular limb deformities, solve lameness issues, and ensure that the foot is properly balanced. It is common for equine veterinarians to work a five to six day week with additional “on call” emergency hours as needed. Work may occur outdoors in varying temperatures and weather conditions. Veterinarians, especially those working with large animals, follow proper safety precautions to minimize the risk of injury while working with their patients. All equine veterinarians graduate with a Doctor of Veterinary Medicine degree, the culmination of a rigorous course of study involving both small and large animal species. There are 30 accredited colleges of veterinary medicine in the United States that offer the DVM degree. Upon graduation, vets must also successfully complete the North American Veterinary Licensing Exam (NAVLE). With over nine million horses in the United States alone, demand for equine medical services should continue to increase at a healthy rate for the foreseeable future.